Home Facts Father of Jesus Feast of Saint Joseph Jesus Christ March 19 saint Saint Joseph Trivia March 19 is Also the Feast of Saint Joseph! 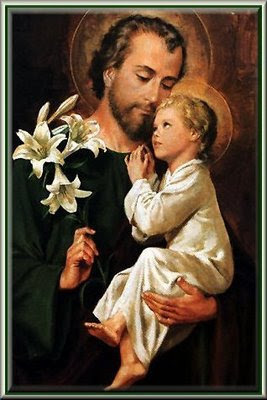 March 19 is Also the Feast of Saint Joseph! March 19 is my birthday. 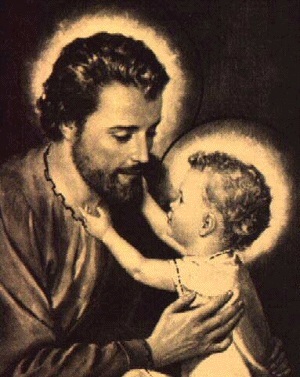 But aside from this celebration, the same date is also the day of Saint Joseph! Yup, every 19th day of March, people were celebrating for the Feast of Saint Joseph. I know all of you already knew who St. Joseph is. Yeah, he is the earthly father of Jesus Christ and the husband of Mama Mary. He is well known to be an industrious worker. If I'm not mistaken, Saint Joseph is a carpenter. Before, I was not that aware that March 19 is also St. Joseph's feast. Until one of my close officemate friends gave me a statue of Saint Joseph as her birthday gift for me! She even told me that I should pray to Saint Joseph and he will grant me my wishes since we have the same birthday. My mother even told me that if she first knew that my birthday falls to Saint Joseph feast, she will name me as "Joseph" rather than "Rocky." Rocky and Alex Castro - Our First Photo! Double R - "Rocky and Rayver!" A Cute Cat March Calendar! March 2012 - "This is My Month!"